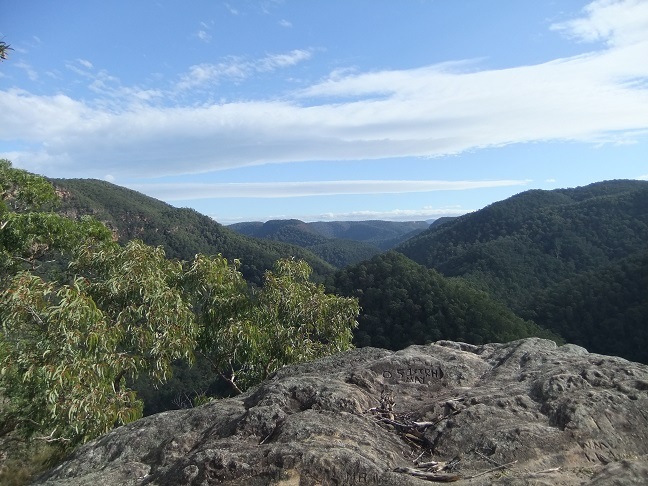 The Vale of Avoca is a lookout situated at the end of Cabbage Tree Road, Grose Vale, New South Wales. From this high vantage point, spectacular views over the over the Grose River may be seen many metres below. Occasionally an eagle may be seen soaring on air currents rising above the valley. By the 1860s, the Vale of Avoca was a popular picnic spot for Hawkesbury residents and visitors. Parish of Kurrajong, County of Cook map showing the Vale Of Avoca Reserve which was gazetted by the New South Wales Government in June 1928. 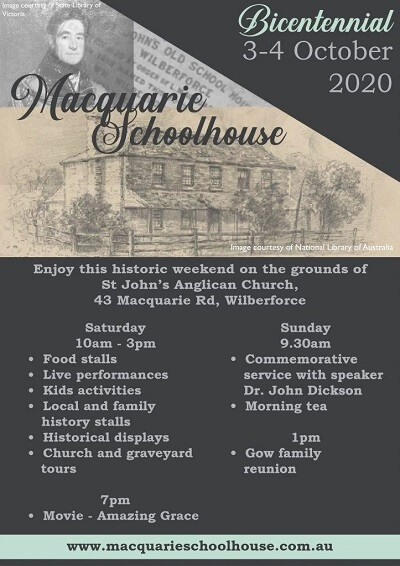 To drive to the lookout, take Grose Vale Road from North Richmond, at the traffic lights and proceed until a left turn into Cabbage Tree Road. Continue along to the end of the sealed road and then follow the fire track to the lookout. The track leading off to left at the fork in the road leads down to the Grose River. Vale of Avoca Lookout - Cathy McHardy December 2011. 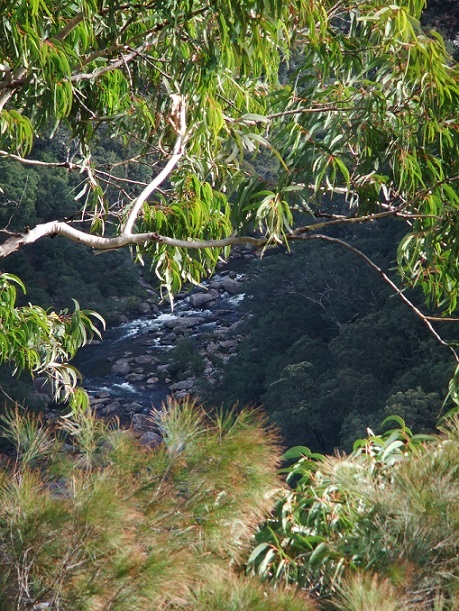 View of the Grose River from the Vale of Avoca - Cathy McHardy December 2011.